The vast majority of most beautiful campsites in France are found by the sea. From the long sandy beaches of the Pas de Calais to the steep cliffs of the Riviera, the French coast offers an exceptional concentration of campsites, welcoming each year hundreds of thousands of tourists. Moreover, according the Insee (French statistical institute), the seaside is the favourite destination of French tourists. 46% of them spend their holiday here. Through this thematic file, we'd like to show you a non-exhaustive selection of the most beautiful campsites situated by the sea. These high-end campsites all have an idyllic location close to the English Channel, the Atlantic Ocean or the Mediterranean Sea, boast a direct and quick access to the most charming beaches, and propose for some of them, rental accommodations directly installed on the beach facing the sea! Ranked 4 or 5 stars, these seaside campsites are equipped with quality facilities and offer tourists various fun and/or sports activities, related (or not) to their paradisal location. These activities include paddle board, scuba diving, windsurfing, beach volleyball, etc. 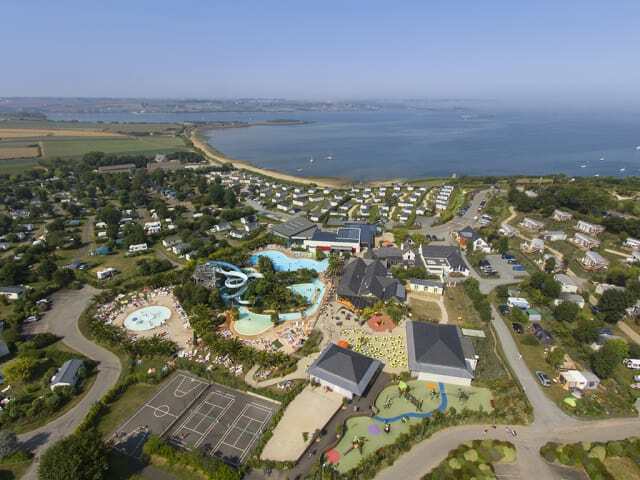 Les Mouettes is a 5-star campsite by the sea in Carantec, a charming beach resort of the North-Finistère, in Brittany. This exceptional campsite is settled in a pleasantly wooded and green 14- hectare property, situated south of the Morlaix Bay. Among its many rental accommodations, some offer a panoramic view on this beautiful bay and on the beach bordering the campsite. A simple access road to the campsite separates it from the beach. Traffic on this road is therefore exclusively limited to residents of the campsite. 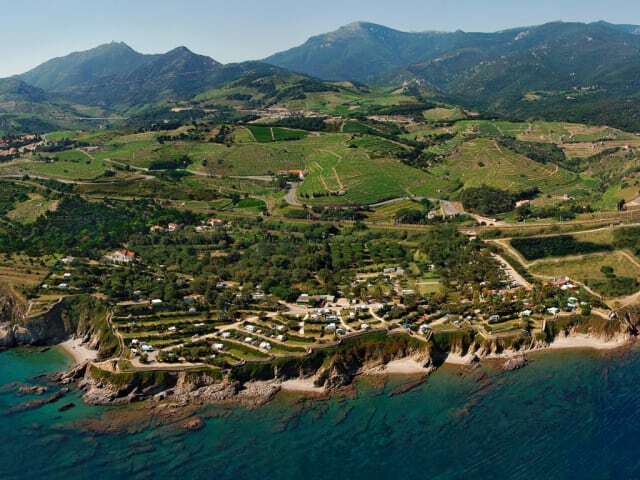 This is undoubtedly one of the most enchanting campsites of the Languedoc coast. Le Brasilia lies in Canet en Roussillon, a beach resort of the Pyrénées Orientales, which reputation as quintessential tourist destination in the South of France no longer needs any explication. This 5-star campsite is one of the leading campsites of the Yelloh! Village Group. Installed by the Mediterranean Sea, it offers a direct access to the beach. Real paradise on earth, Le Brasilia regroups many leisure facilities, like its swimming area, straight out of the imagination of the engineers of Amusement Logic, designers of the most beautiful water parks in the world. In 2015, this swimming area has been expanded to accommodate new pools for swimming, aqua fitness and aquagym. An area dedicated to well-being and relaxation is also present on this site by the sea in Canet en Roussillon. 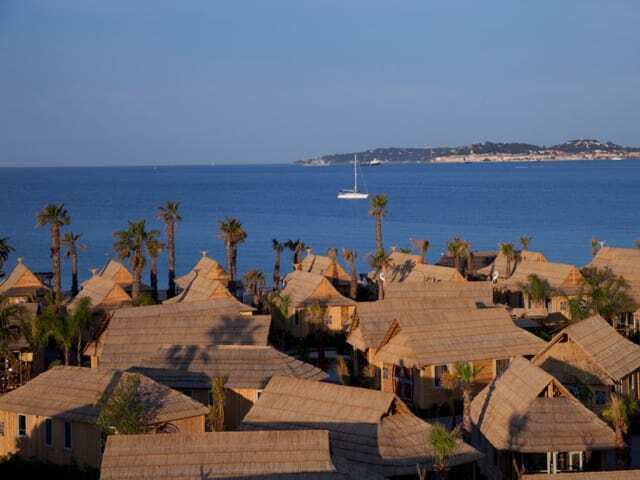 Le Boucanet is a campsite by the sea in the beach resort of Grau du Roi, in the Gard. 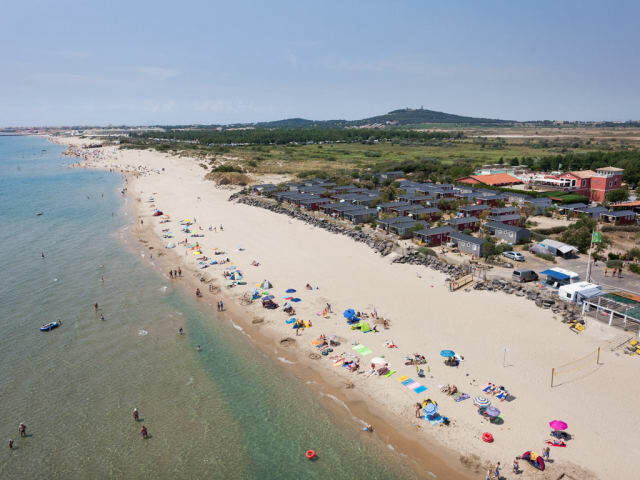 Located south-west of the Camargue region, 9 kilometres from the medieval city of Aigues Mortes and 25 kilometres from Montpellier, this exceptional campsite is operated by the France Loc Group, and is a leading emblem of this group. Le Boucanet lies at the border of the Gard and the Hérault, and some hundred metres from the beach resort of La Grande Motte. It offers many assets, starting with its rental accommodations lying at the feet of a beautiful fine sandy beach. 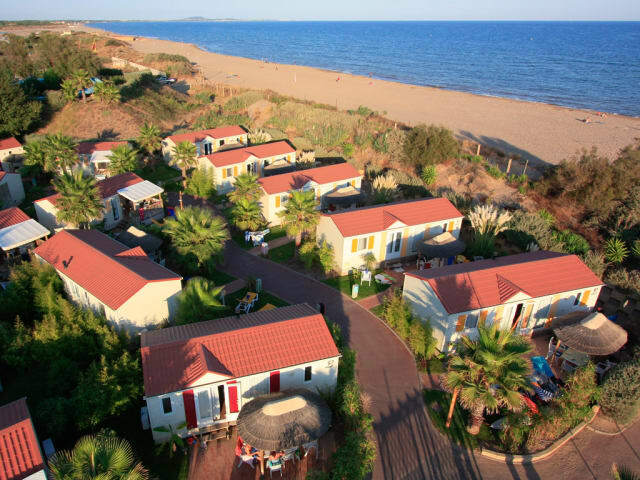 Many mobile homes offer a splendid view over the Mediterranean Sea and feature a direct access to the beach. 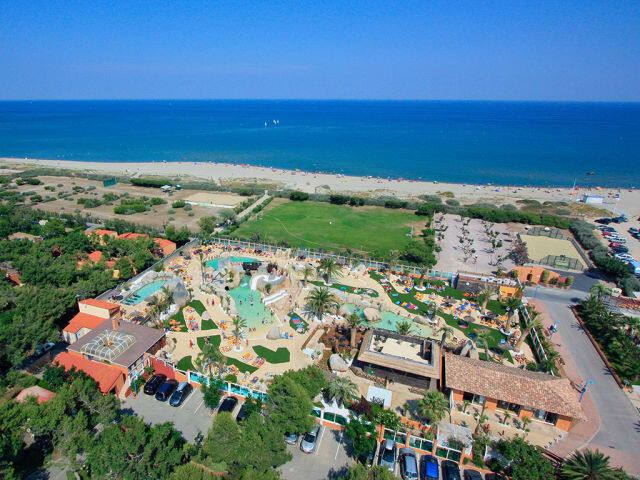 The guests don't have to walk far to go swimming, and this campsite by the sea in Grau du Roi also boasts a very nice heated water park, equipped with several water slides, a covered pool, an outdoor lagoon and a paddling pool! Let's face it, there's no better place for a holiday by the sea. The guests of these exceptional mobile homes only have to put down their suitcases upon arrival and go down a small stairway to reach the beach. From there, the sand seems to spread out of sight; that's the magic of the Côte d'Améthyste and the Roussillon coast. Children can play in the sand and build sandcastles while parents can start sunbathing right away on a towel! A few dozen meters from the first rentals of Le Beach Garden, the Mediterranean Sea and its warm and transparent water tempting the swimmers! L'Océan Breton is a 5-star campsite south of the Finistère. Located in the municipality of Plobannalec Lesconil, it isn't strictly speaking by the sea, as the beach is 2.8 km further downstream. 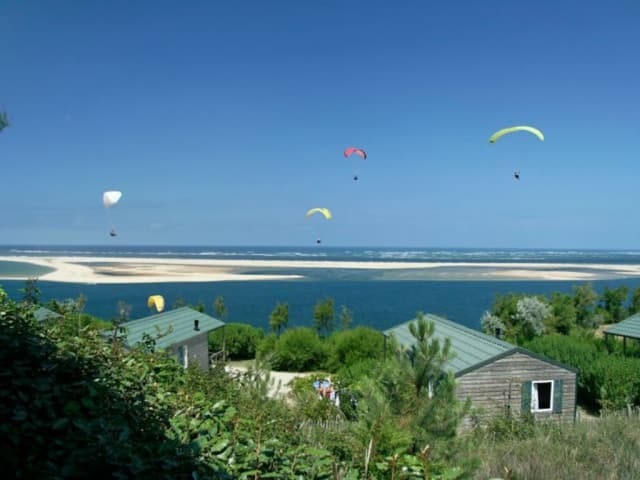 However, its environment makes it one of the most beautiful campsites on the Finistère coast. L'Océan Breton lies inside a sort of inland peninsula because it is surrounded by the two arms of the Stêr, a sea inlet of incredible beauty with changing colours depending on the winds. Very close to the south side of this dune we find Le Panorama du Pyla. It lies on a land that we could easily describe as hilly, as the Dune of Pyla has spread around other mounds of sand... But unlike the dune, the campsite is nowadays completely covered with a pine forest. To get there, very simple, a staircase was built between the campsite and the creeks, so the campers can reach them easily. These creeks are also perfect to relax and sunbath, sheltered from the wind and the crowd, often so typical of the coastal beaches of the Pyrénées Orientales. The natural and wild aspect of the seaside of les Criques des Porteils is characteristic of this coastal strip; the Côte Vermeille. It stretches from Argelès sur Mer to the Spanish border and forms a steep landscape. Bordered by several villages and fishing harbours, like the famous city of Collioure, that can be reached on foot from the campsite. 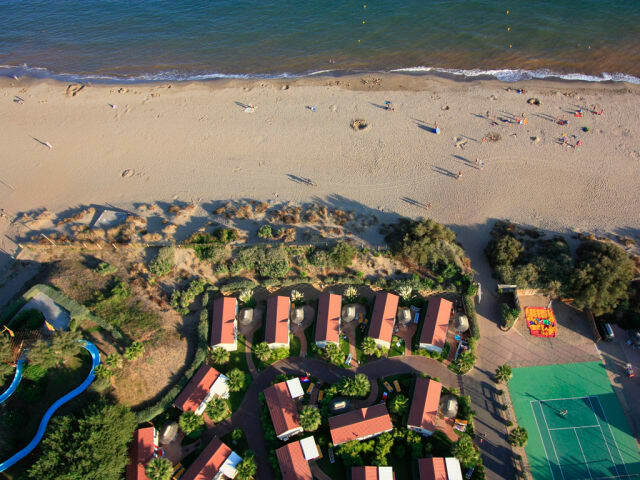 Les Prairies de la Mer is a 5-star campsite in Grimaud. Located by the sea, it enjoys a unique and privileged situation in the... Gulf of Saint Tropez! It is indeed a short walk from the lakeside city of Port Grimaud to this high-end campsite. Considered as one of the best campsites in France, this campsite offers its guests the possibility to stay in amazing and comfortable rental accommodations with views over the Mediterranean Sea and terraces giving direct access to the sandy beach! 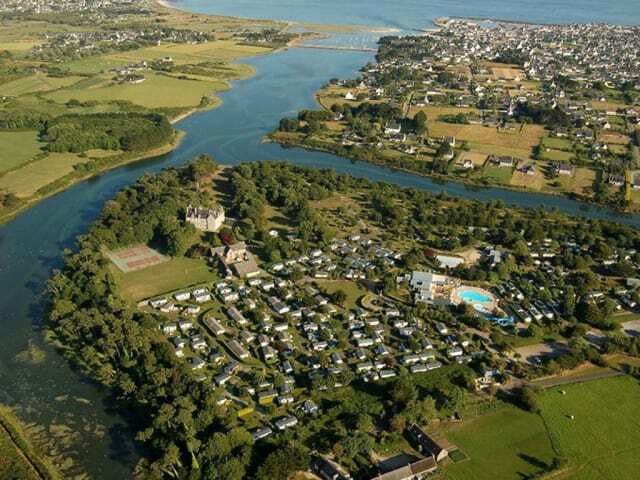 What could be better than a holiday on a dream campsite bordering one of the most famous gulfs in the world? 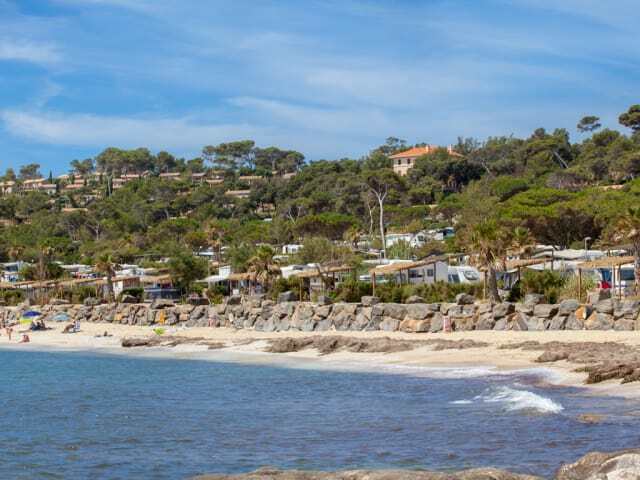 At two steps from Saint Tropez, but also close to the villages of Sainte Maxime, Cogolin and Ramatuelle and Gassin, in the heart of the French Riviera and its idyllic beaches, like the Cigales beach and the Pampelonne beach, Les Prairies de la Mer counts as one of the most luxury and high-end campsites of the region. Among all the assets of this campsite, its unusual rentals located by the sea giving its guests an exceptional view on... the bell tower of the small harbour of Saint Tropez, located in front of Les Prairies de la Mer. This is the most idyllic place to camp on the French Riviera! The guests on the pitches, and in the rentals located higher up, have an absolutely exceptional view on the Lavandou Bay and a large part of the French Riviera, as the panorama extends until the beach resorts of Rayol Canadel sur Mer and Cavalaire sur Mer. Aloha Village is a 5-star campsite by the sea in Sérignan Plage, in the Hérault. It enjoys a very pleasant situation, as it borders one of the beaches of this seaside resort. One single dune separates the first mobile homes from the beach and the Mediterranean Sea, and a path crosses it to access the beach.